Since we are on a mountain ridge where many people are starting their own place for sustainable living, we could talk to a lot of people about building up their site. It seems that nearly everybody went through the same phases. These are phases after you have bought the land. You could say buying the land is a whole story on itself, which I am not going into here. Now letting your dream come true is not always easy. I find the dreaming stage much easier than the reality part. Yet, I would not have wanted to miss that reality part for a minute. We are still somewhere on the scale of phases ourselves, I think more or less between Phase 4 and 5. 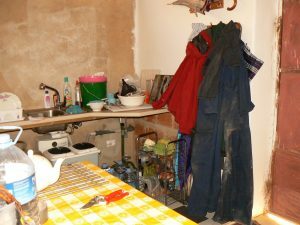 I think it is good to know for us Homesteaders to realise that we more or less go through the same stages. Especially when you get stuck somewhere. Really there is a way out, someone has figured it out before you. Sit down and take some time to find out, what others have done in a similar situation. 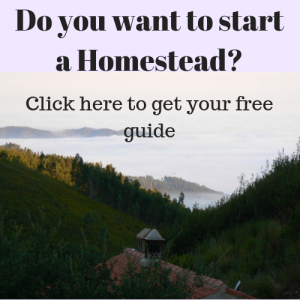 Building a Homestead: Phase three, integrating systems. Building a Homestead: Phase five, it settles down. The first phase is the starting phase. First of all you have to make yourself a shelter. For some people this used to be a tipi, were they moved in with the whole family. For some people it was a partly built house with a view undefined rooms. Or a caravan, which was maybe a more luxury version compared to the other options, depending how many people you have to squeeze into the caravan…Depending on one’s carefully saved budget things can be more or less convenient. And some people do not mind to start very basic. In our case it looked like this: we had two building on the land. One of the to buildings, the biggest. We turned into a living house. It was very basic. It had walls, doors and a fireplace in one of the rooms. There was a room that was on it’s way to become a kitchen. The kitchen even had cold running water, no potable water though it was clean enough to do the dishes. We had electricity from the grid. It was enough as a shelter. 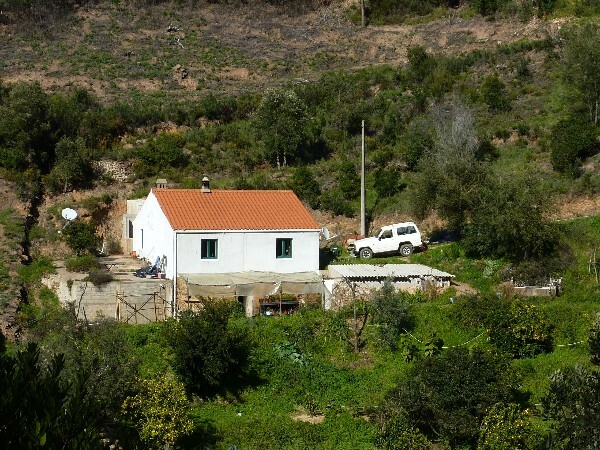 We build this shelter before I moved to our land, Terra do Milho. Then there are the basic needs that need to be looked after: water for drinking, washing and cooking. Firewood to keep one warm and dry. Wow, it all takes a lot more time than thought to run a household in the wild. Take some time to make yourself a good functioning base. It might take longer to make it right, but you will gain so much more time later on on the path to homesteading. Organising your home with enough storage room, a proper bathroom and kitchen is really worth investing time and money in. Organize your energy resources like woodshed, wood, electricity well. Take some time to see what you want to do off grid or on grid. Really, you do not need to go completely off grid when you have 6 children to care for. Carefully think what it will mean labour and money wise. A vegetable garden is started for the first basic food needs. Some fruit trees are planted. A small part of the land is cleared and cultivated to start growing things. Slowly the rest of the land gets cleared and explored. Slowly discovering how the land works and what the potential is. At Terra do Milho, I was on my own most of the time. Tom still had his work in Holland and we were financially depending on his income. Some terraces under our house were already cleared so I started a small vegetable garden with some basic needs. But hey, what a difference of what I was accustomed to! 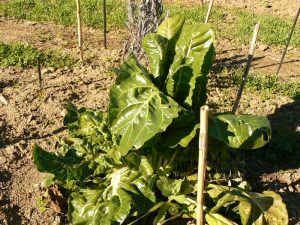 The soil and the climate were so different that my 30 years of gardening experience were useful, but did not help me to grow something simple as lettuce…. I did enjoy the land clearing a lot. There were so many mystery places on the land I had never been to. It was an exciting experience to explore our own land. Climate and soil can be very different from what you are used to. Fruit trees grow soooo slow. You will have to keep your household going. We did not have drinking water in the house, so I had to get it from a spring miles away. Getting compost for the garden to make it grow well, I found quite a challenge. Getting carried away with land exploring is definitely a danger. Be aware that everything will grow back soon. If you open to much land, you might not be able to maintain it all. Make sure your garden is not too big. It needs to be big enough to feed you though, but keep in mind that you do not need acres of land for feeding two people, or even 4. Check our blogs about gardening to find out more…. A Permaculture Design or some other type of organizational design is getting implemented. Systems are getting integrated. You might be considering taking some farm animals in. Chickens for eggs and maintaining the fruit trees. Goats for manure and keeping the brambles down. What I found challenging her was to translate my theoretical Permaculture knowledge into specific on ground action. I had to redefine Permaculture a lot of time. I read books and blogs and watched tons of videos to be able to put it into practice. Permaculture does not work like a recipe book. You really need to dig in quite deep to get the basic idea. In our situation we got chickens and goats. 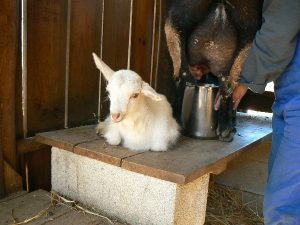 I have no problem of eating our own chicken, but totally met myself with trying to eat our own goats. I could not kill, or let them kill for that reason. They have to much of a personality and it feels like eating my own friends. That was an emotion I did not expect. It complicated things quite a bit. What I also read in blogs and facebook posts, and what I have explained myself too is how concerned you can get about sick animals or animals in labour. I sometimes couldn’t sleep from it. Don’t take to many animals in at once. Consider that they need a lot of care. They will need a house, a fence and food. Think carefully about what you want to do with the young animals that you are not going to need. Animals can also do damage to your garden and to the terrain, be prepared for that. Consider this mechanism: when you give your kitchen scraps to the chicken there will be none left for the piglet. You might have had a carefully thought through plan including a financial plan. We did have one. But unfortunate the moment we started our homestead the credit crisis landed hard in Holland. We had only 30% from our income left. We had a good plan, but it was in pieces when we wanted to build up our homestead. This lead from one financial struggle to the other. Preventing us from finishing the building of our house. It is still unfinished. Because later on when the work on the farm accumulates you lack the time. That is why it is important in the beginning. But anyway, we had to go to plan B. We made tourist accommodations. After some years that approved to be a good thing to do. Although it is seasonal and does not provide an income for the whole year, it is more than welcome. Even when you have carefully put money aside to stick it out a few years, sooner or later you will need a source of income. Because there is so much to do at the beginning, much more than you can think of, the number of years that you can stick out with your savings are over before you know it. You might find out that you did not take time to upgrade your house, as we did. So you will need some income to invest. Every project that you finish on your homestead seems to generate work. Make a chicken coop and you and up taking care of chickens. The same for goats. Clear a forest so you get axess to wood and you end up clearing it forever and cutting piles of firewood. When you finish something three things are born that need labour. Getting in machines to make it all doable with a small number of people becomes a wish and a necessity. Although worth the investment these machines are often not cheap. Borrowing things from neighbours might be an option if you need something only ones or twice, but when things are used very often it is not practical. It proves to be better to buy more expensive tools of a better quality, that will last longer. Good tools are also good time savers, and time is what you need. In this stage things that were installed temporarily often need to be replaced with permanent things so you do not need to do as much maintenance. The challenge here I found out is: How can the money making get more priority? What to make money with? What is the best choice? There is not much room to experiment. When you have taken up to many projects on in the previous stages, it is time to let some projects go. It can be very hard to make a choice of what is best. But maybe there is no best. If you want to make something into a success it needs dedication and time, no matter what you do. What I feel that is happening to our homestead project now is that is slowly settling down. We have our income from out tourism which helps us through 6 month. Some other income comes from my husbands work that he does in Holland still every now and then. There is still lots to do, but we have agreed that we do not want to extent the project any more. We will just do all the unfinished jobs one by one in a humanly pace. I started this blog that will hopefully help a lot of people, but also bring some more income to get other people in to do jobs on the homestead. And if I am right some income from the homestead should develop. Working yourself through all the things that are not sustainable and changing them into a sustainable situation. Not taking any new projects on, but finishing everything that is unfinished. Finally some project starts taking off money wise, so it can be slowly done. By this time you have probably lost the: everything has to be done now mentality that is so connected to today’s regular life. I think the main challenge her is to stay patient and be content with what you have. Start meditating again, if you ever did and stopped doing it because of your workload. Are you near Monchique? The garbage dumping ground in Porto de Lagos sells organic compost. You do need to buy it in larger quantities, but maybe that works for you. The entrance of the dump is on the road between Porto de Lagos and Silves (N124). An other option that we used before we had our own was to look for someone with horses. People sometimes do not know what to do with the manure. We used to pick up the manure, that was often already composting, and compost it in a pile for a while (until it had white fungus in the heap). This worked great.